Home / Batavia / CM / Education / GCC / News / scholarships / GCC's "Scholarships in Action" 2018-2019 campaign kicks-off! BATAVIA, N.Y. -- The Genesee Community College Foundation has kicked-off its annual campaign themed Scholarships in Action to raise funds for much-needed student scholarship assistance. In 2017, the Foundation awarded over $224,000 in scholarships, largely to students in the College's four-county service area of Genesee, Livingston, Orleans and Wyoming Counties. GCC's Foundation has been working with the communities it serves for decades to ensure scholarship assistance is available to help students in need. Under the leadership of Foundation President, Todd Bender, the Foundation hosted a scholarship campaign kick-off at Farmer's Creekside Tavern & Inn in LeRoy, NY on September 20, 2018. The program featured a moving speech by Julie Carasone of Stafford, NY. As a cancer survivor, single parent, full-time employee with three jobs, Ms. Carasone is also a GCC Human Services student and scholarship recipient who hopes to one day work in the medical field in the near future. "Julie's heart-warming story illustrated how a GCC scholarship not only removes some of the financial barriers to college, but builds a student's self-confidence and motivates them to continue on their pathway, no matter how steep it feels at times," Tammy Arneth, director of the Annual Fund said. "There are literally hundreds of these stories across the College's four county service area, and we are excited about our next event in Medina." In Orleans County, the Scholarships in Action campaign kicks off on October 12, 2018 at 6 p.m. at Leonard Oakes Estate Winery at 10609 Ridge Road in Medina. The entire community is invited to enjoy the music of The Easy Street Band and hear how scholarships have impacted students, families and communities in Orleans County. Wesley Bedford, a member of GCC Class of 2006 and a Business Banking Relationship Manager at M&T Bank, will be chairing the Orleans County Campaign Division. "Year after year we see an increase in the number of students who need financial assistance to make their higher education dreams come true," Arneth added. "The hard work of the campaign committee members, donors and many other volunteers is deeply appreciated and has a life-long, community-wide impact." The Genesee County Division Campaign is planned to launch in early spring. The longest running and very popular scholarship fundraising effort the Foundation hosts is coming up quickly. The 2018 Encore Celebration: "Let It GLOW" on Saturday, December 1, 2018 will occur in the new Richard C. Call Arena at GCC's Batavia Campus. Opportunities to sponsor "Let It GLOW" are still available at https://www.genesee.edu/home/foundation/events/encore/ or by contacting the Foundation Office at (585) 345-6809 or Foundation@genesee.edu. https://www.genesee.edu/home/foundation/donate/ or contact your nearby campaign chairperson. Earlier this year, the GCC Foundation united its 2018 scholarship recipients and donors to celebrate their shared interest in academic success! To see the additional scholarships in action, check out GCC's Facebook album "Discover the Stars 2018." Even with GCC's affordable tuition rates, college costs add up quickly. The Genesee Community College Foundation is doing all they can to help eliminate financial obstacles to higher education. 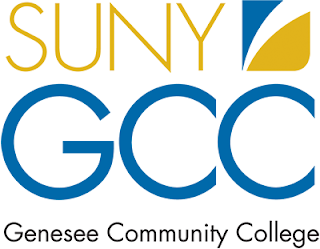 Students attending GCC in the Spring of 2019 can still visit the College's website, https://faculty.genesee.edu/schol/ to review scholarships opportunities. The website allows students to review all of the available scholarships, complete the application online, filter for eligibility and automatically apply. The deadline for all applications is November 1, 2018!